Are you finally ready to streamline your style, polish your appearance, and dress the body you have? Then read my top ten style tips for 2016, aka what I say to clients most…..
Do have a full social calendar over the next few weeks? 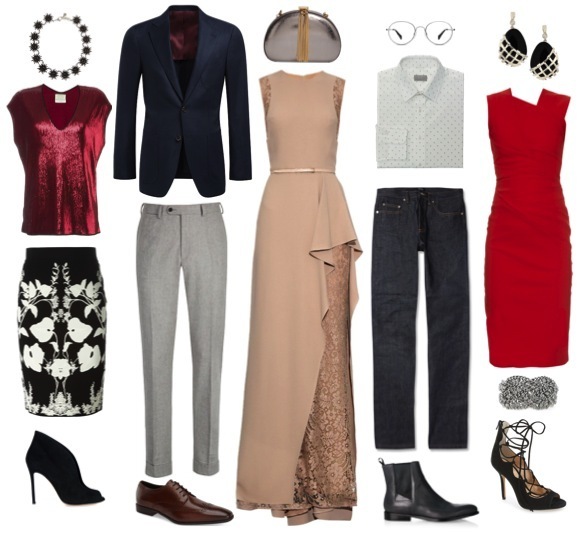 What are you going to wear to the office party? What does 'black tie optional' mean, anyway??? Don't fret! Decode holiday dress codes with tips for him and her, and party on in style….. If you like cashmere, and you like great quality at a phenomenal price - then you have to check out The Cashmere Sale. The Cashmere Sale is a pop-up shop that only comes around once a year in Burlingame. I was there last weekend, and I'm loving what they're doing this year! THE UPDATE: Are you date-ready?